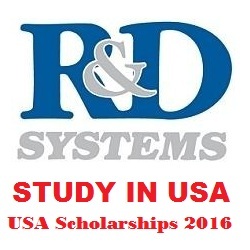 R&D Systems is offering scholarships for worldwide students. These awards are offered for those applicants who want to pursue their baccalaureate, graduate, associate degree, or diploma under the R&D Systems Bio Teach in USA. The R&D Systems Scholarship Fund was established to recognize students looking to advance their knowledge and career in science.